A Fitchburg branch wayfreight is lined up at Framingham Center. The employee pictured is taxied to this spot, as needed, from Framingham Yard office. 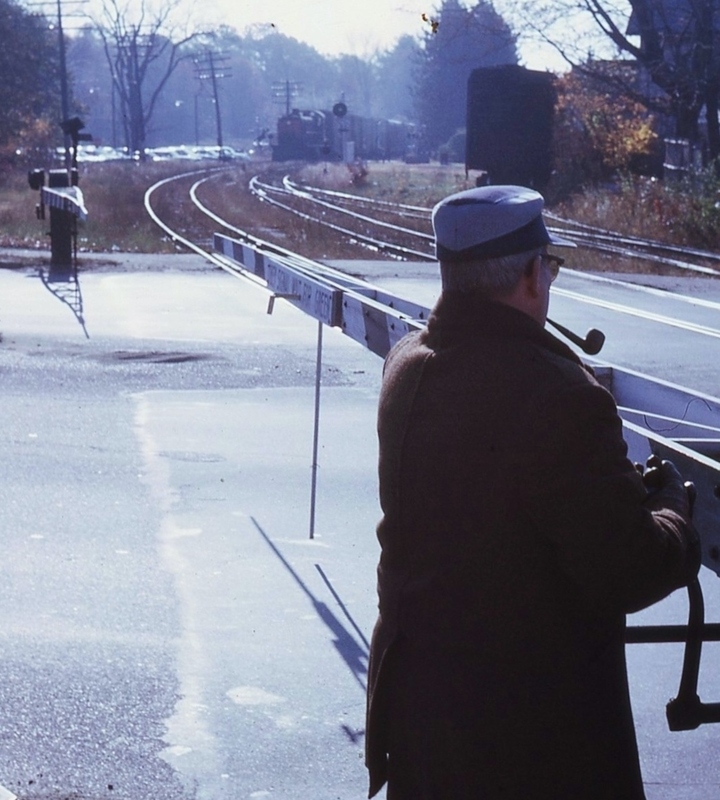 His duties include operating the mechanical interlocking, setting signals, activating the standard traffic lights on busy Route 9, (which replace traditional cross bucks) and lowering the hand operated crossing gates. He will eventually document /report the times the train entered and cleared his limits, as well as the time his plant was returned to "normal".